These are amazing, I sometimes use almond butter as well which is equally as delicious. I always use raw cacao powder to make them as it has really high levels of antioxidants (to keep you looking young) and magnesium (good for your bones). 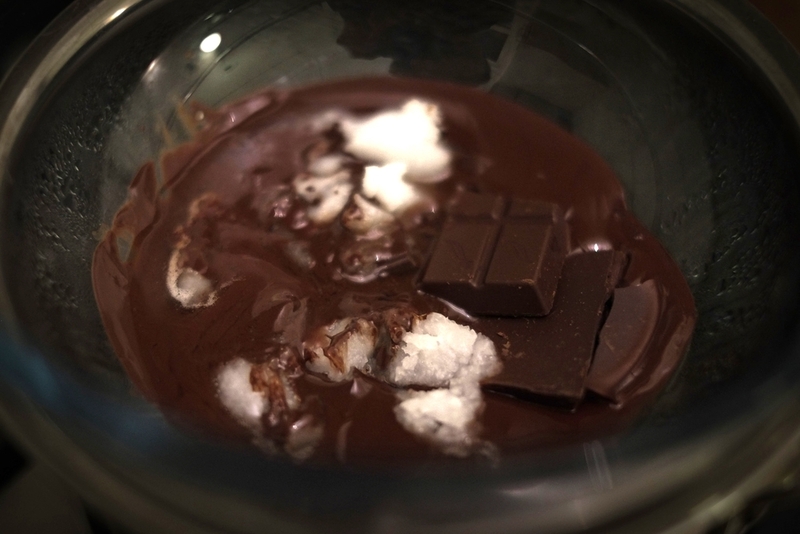 Melt the cacao butter gently in a bowl over the boiling water. I am a big fan of chocolate and enjoy a few squares of dark chocolate in the evenings. When I want to really make something special, this is perfect. It's rich and chocolatey and amazing plus it's got hidden healthy secrets like tahini (selenium for cancer protective properties and calcium for your bones). Blend everything together until smooth. Poor the mixture into the cake tin and refridgerate until solid. Keep chilled.